The Seattle Pod was one of the first to form and now has a huge group of women working together to take action in their community. Last week, they published a beautiful mission statement, go and read it for some daily motivation. They are also planning a 'Summer Salon' series focusing on civics training, social justice education, and feminist theory in STEM. Thanks Seattle for sharing your vision, there is so much we can learn from your group! We are public scholarship in action. Our mission statement was essentially written by our membership - we wrote it through a multi-step process of consensus building and group writing. At one of the first general meetings, we asked members to write down three ideas they want to see in the mission statement of the Seattle pod. From those initial submissions, three action-oriented themes quickly emerged: policy, literacy and inclusivity/diversity. Members also reiterated their love of the people and places of the Pacific Northwest. We pulled all of the statements together, and after some collaborative editing, we had the mission statement. What we love about this statement is that it is truly an organic reflection of the values that unite our community of women scientists in the Salish Sea region. How has your pod ensured that a diverse group of women scientists attend the pod meetings? It’s important to first acknowledge that our meetings mostly consist of white women in academia. This is something that we are working to change. We hope to change this by training and educating our membership, actively partnering with local social justice organizations, and physically showing up for on-going social justice responses to hate and violence. Our members are actively engaging with other organizations in the Puget Sound region to build our networks and increase diversity. We have begun building coalitions with academic union groups in Seattle, and hope to expand those coalitions to include other types of organizations. 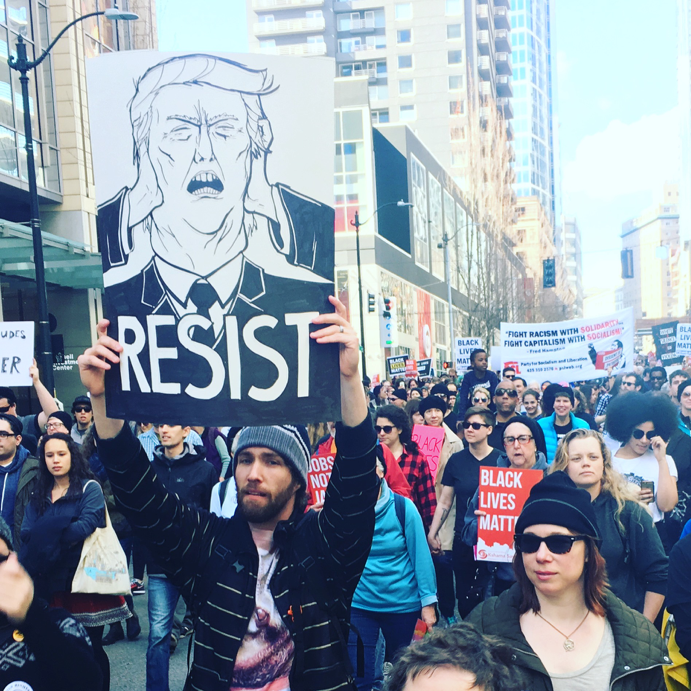 We also use our various communication channels to organize and inspire our members to attend and support other social justice groups, such as the Seattle Women’s March and Black Lives Matter. All this is part of a larger opportunity to educate ourselves about civil rights, intersectional feminism, and the decolonization of science. We hope to be ambassadors for the values of our scientific community. We intend to critically evaluate our public positions as an organization with the appropriate lenses of social science and social justice. In doing this work, we commit to the practice of listening to the lived experiences of others, and the deep and necessary work of self reflection and public integrity. We will promote and fight for inclusion in science for all people, regardless of gender, gender expression, race, ethnicity, sexual identity, economic status, age, disability, national background, immigration status, religion, or any other identity or political affiliation. Can you talk about the activities that the pod is focusing on? What actions and outputs do you envision? Who is your audience? The first main push for the Seattle Pod was for a group of our members to be present at the March for Science. In addition to visibly supporting science, we also intend to be accountable to social justice issues surrounding science. Our next steps will include action along our three main themes: policy, literacy and inclusivity/diversity. The pod has formed three groups along these lines that meet regularly to plan action items. Another focus for us is to begin providing workshops in civics and public communication for scientists, which will help our membership gear up for increased involvement in public discourse. We are also planning to do a series of salon events where our members can meet for supportive discussion on a wide range of issues. We will fight for the vital role of independent science in our democracy. Are their any specific activities that the group is really excited about focusing on? We are excited about a suite of upcoming projects. We are building a “Summer Salon” series of discussion for our membership, including civics training, social justice education and feminist theory in STEM. 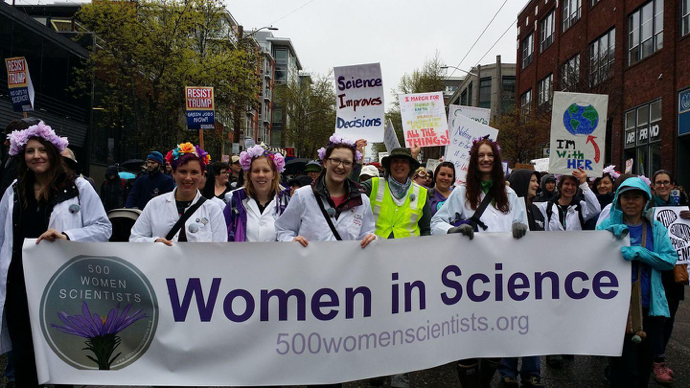 Through this capacity and conversation-building work, we are focusing on building a Seattle 500 Women Scientist speakers bureau. We envision a community hub to support and amplify women scientists voices across the Salish Sea. Also, one of the emergent properties of this group is how we are supporting one another and becoming friends. We intend to be a safe place for support and friendship amongst women scientists - and this is quickly become true. So, our social events together and the relationships developing within teams are also really positive parts of our organization. We believe there has never been a more important time to speak truth in public, and we will not compromise our shared vision of a just, equitable, and sustainable future. Initially, we used our personal networks, and invited people personally to join a Facebook group. Gradually, we moved outside our networks, for instance by setting up public events on Meetup and promoting on Twitter. Once we found our feet, we set up a website which we have used to make our mission statement publicly available. And we’ve found that one of the most effective ways to retain engagement is to actually meet in person on a regular basis! In addition to general and focus-group meetings, we have social events once a month. It makes the pod more connected and helps grow our network. The March for Science was a great opportunity to share a statement on why we were marching. We also met lots of potential new members at the march itself. As we marched, we handed out flyers and buttons to anyone who was interested. We also encourage members to wear the buttons, as they can be a great conversation starter in the field. We have found that there is a lot of interest in general out there from people who really want to do something, but they don’t know how to get involved. We are drawing in women scientists who have perhaps not been active in politics or outreach. Having the initial mission statement from 500 Women Scientists has really helped. People read it and think, “ Hey that statement aligns with my values and I want to join this movement.” They are also seeking a refreshing departure from the attitude that “science is completely objective and unbiased,” which can dominates science advocacy conversations. We envision a vibrant science community in service to the people of the Salish Sea region. Dr. Sarah Myhre is a postdoctoral research associate at the University of Washington in the School of Oceanography and the Future of Ice Initiative. She is climate and ocean scientist, public speaker, and thought leader in the field of climate communication. Dr. Jeanna Wheeler is a research scientist with the Seattle Institute for Biomedical & Clinical Research located at the VA Puget Sound. Her research areas are genetics and behavioral neuroscience. She is currently focused on understanding neurodegenerative diseases such as Alzheimer’s and ALS. Dr. Kim Martini is a Senior Physical Oceanographer at Sea-Bird Scientific in Bellevue, Washington. She is passionate about data and communicating science in fun and accessible ways. 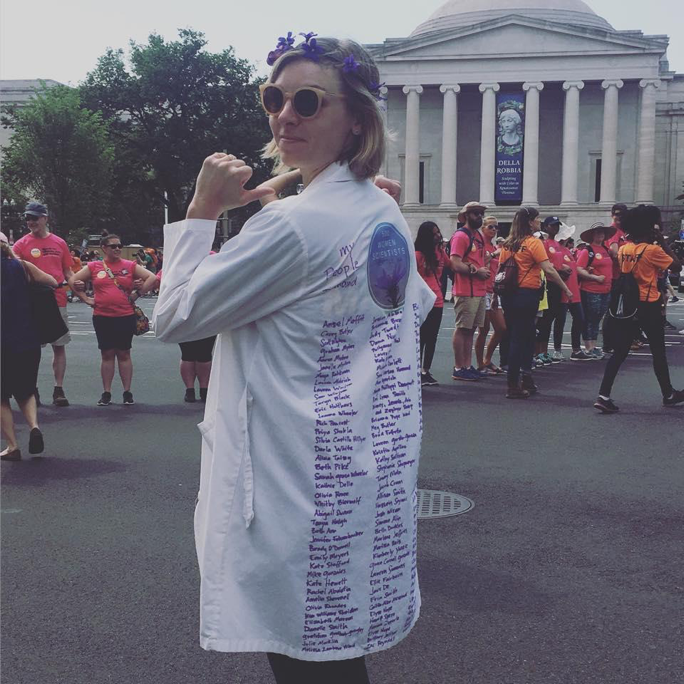 Dr. Hannah Gelman is a Senior Fellow (post-doc) in the Department of Genome Sciences and the Institute for Protein Design at the University of Washington. Dr. Laura Osburn is a research scientist at the Center for Education and Research in Construction. She has a PhD in Communication with expertise in the use of storytelling for decision-making. She loves ethnography, narrative analysis, and observing how people make and use data. Dr. Kate Richerson is a postdoctoral researcher at the Northwest Fisheries Science Center, focusing on marine and fisheries ecology. She is interested in the intersection of conservation and human well-being. What is the key to organizing a strong network of women? For the Knoxville Pod, it has been persistence, openness, and a focused dedication to their mission. The pod is already busy planning some important (and awesome) activities! Read on to meet our #podoftheweek. It is so wonderful to get to know our many pods! Each one has a different focus. 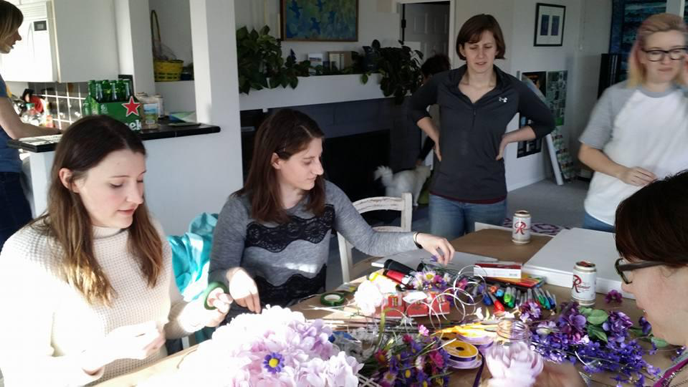 While the DC group we heard from last week is focused on activism, the Alaska pod we talk to day is thinking about how to grow their network of women scientists in their state, and how to reach out to young girls. They also have great suggestions if you are starting your own pod. Thanks Alaska, can't wait to see what else comes from your group!